Since its establishment in 1982, Research Products has been recognised as an innovator in the supply of hard surface and carpet cleaning solutions. These products are highly concentrated, making them very economical and helping to reduce freight and inventory. The range now includes a complete portfolio of products for commercial and industrial cleaning applications. 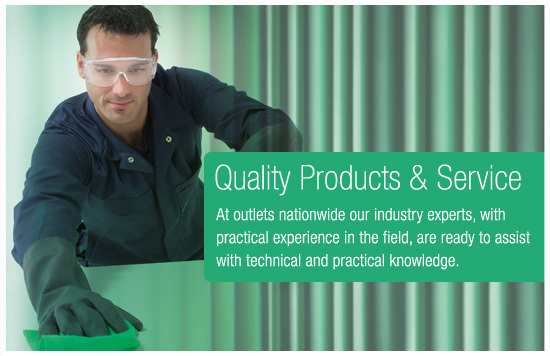 Research Product’s team is driven to find solutions to any cleaning problem. With such dedication it is understandable that we have the confidence of many of Australia's best known cleaning operators. In June 2010, Research Products became a trading name and division of E.D. Oates Pty. Ltd. which also markets and distributes the Citrus Resources brand of natural cleaning products. With Oates comprehensive range of popular and proven products, coupled with exceptional customer service and an outstanding nationwide network of sales and logistics, it is not hard to see that when it comes to cleaning, Oates really is the professional's choice that cleans best.